The firm, which provides legal services to more than half of the UK’s top twenty motor insurers, has grown by more than 40% since 2015 and currently employs 750 people. With an ongoing recruitment drive and an increasing need to attract individuals with highly specialist skills Horwich Farrelly turned to specialist software company, Eploy, to develop a solution to support its future recruitment strategy. Eploy has been working with the firm to deliver a customised ‘Applicant Tracking System’, or ATS. The web-based programme, which has been seamlessly integrated within the existing careers site, manages each stage of recruitment from a vacancy first being advertised to an offer being made. Thomas Reynard, Chief Operating Officer at Horwich Farrelly, said “The number of live vacancies we have in a typical month has trebled in the last few years meaning our recruitment teams and managers were spending more and more time simply sifting through and reviewing applications, resulting in the hiring process sometimes taking longer than desired. In addition, should an applicant have narrowly missed out on being offered a job in the past there was no easy way to alert them to new opportunities where they were potentially a top ranking candidate. 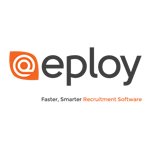 Chris Bogh, Chief Technology Officer from Eploy added “This is a great example of how Eploy’s cloud-based recruitment software supported Horwich Farrelly in finding and recruiting top talent who are the perfect fit. In automating the recruitment process it has reduced administration and delivers a great online candidate experience to help candidates find their perfect career with the firm”. To view Horwich Farrelly’s current vacancies click here.